The church is no place for independent cowboys. An independent cowboy is someone who likes (or tries) to operate on their own, without help, without covering, without using other people’s gifts. A cowboy, in a negative sense, is someone who pays no attention to protocol or to raising up other people. A cowboy likes to make the show all about himself or herself. A cowboy thrives in the spotlight, and wants to keep it on himself as much as possible. An independent cowboy treats the church like his or her own personal thrill ride, trying to do whatever they like without accountability. We need each other’s skill sets. We need one another’s spiritual gifts. We need one another’s feedback, ideas, support, encouragement, and labor. But woe to him who is alone when he falls, for he has no one to help him up. When one falls, the other lifts him up. That’s teamwork. That’s the Body of Christ, coming alongside one another, loving each other, and helping each other. The Church needs teamwork. 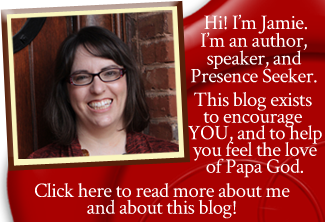 We are totally dependent on one another, and we need to remember that in our day-to-day lives. We can’t survive alone. This world is a tough place. My own weakness and dependence on the other parts of the Body has been all too obvious to me recently. I’ve been pretty tired, and my physical fatigue has made it even more evident to me that I can’t get anything done without other people’s help. In addition to that, I can’t even accomplish anything spiritual without other people’s spiritual gifts. I need a team in order to function in the Body. I’m not upset about that, though. It’s a good thing. It would pull me out of spiritual covering , because I’d stop believing I need to be under authority… which would expose me to the enemy’s attack. I’d fall prey to the myth that my gift is the most important one, and that everyone should be like me… which would be not only a lie, but would also make me judgmental and critical of others. I’d be ineffective in ministry, because I’m inadequate to do anything on my own. I need Jesus to help me with EVERYTHING, and Jesus has chosen to work through His BODY. No, I can’t do it alone. By myself, I am only a hand, or a foot, or a mouth, or an arm, or whatever. I need the head, nose, ears, arms, hands, and all the rest of the Body of Christ in order to survive… and so do you. And the eye cannot say to the hand, “I have no need of you”; nor again the head to the feet, “I have no need of you.” … But God composed the body, having given greater honor to that part which lacks it, that there should be no schism in the body, but that the members should have the same care for one another. 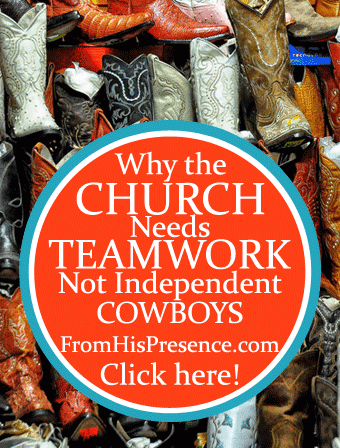 The Church needs teamwork, not independent cowboys. We don’t need anybody to keep the spotlight on themselves. We don’t need anybody to refuse wise counsel. We don’t need anybody to operate on their own, without covering and without being under authority. Instead, we need people who operate under godly authority, value other people, support the mission of the local church, and raise up other people. So that leads me to the question: Are you a team player, or a cowboy? Are you steadfastly refusing to let other people work alongside you? Are you trying to keep the glory for yourself? Are you ignoring the rules and trying to bypass your leaders’ desires? Align yourself with proper, godly authority. Surround yourself with a team of people who have differing gifts than you have. Value the ideas, insight, and feedback of your team! Be a true spiritual father (whether you’re male or female) and raise up other people to walk in their callings alongside you. Make sure the glory always goes to Jesus, not to you. If you’ll do these things from your heart, you’ll be a team player. You’ll be much more effective in the Body than you’ve ever been. Submitting yourself to a team and raising up other people may crucify your flesh a little more, but it’s supposed to be all about Jesus anyway, isn’t it? How can you become more of a team player today? Image courtesy of Rod Waddington on Flickr.